I am pleased to join with some of my Kid Blogger friends and talk about STEM activities during summer. STEM stands for science, technology, engineering, and math. 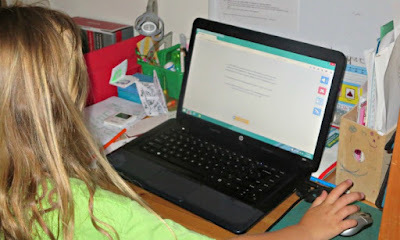 I picked technology and want to share my views on screen time during summertime. Is There a Place for Screens in Summer? Once upon a time I was a “screen Nazi” easily meeting “no TV under 2” guideline from American Association of Pediatrics. I still believe strongly in very limited screen exposure for babies and toddlers, but interactive games and educational TV programming can both entertain and teach our children. The blessing of technology is also a curse as many children spend progressively more time in front of various screens as they get older. According to a Kaiser Family Foundation study in 2010: “The average 8- to 10-year-old spends nearly eight hours a day with a variety of different media, and older children and teenagers spend more than 11 hours per day.” Somehow, I don’t think these numbers are smaller now, it’s just that the hours shift from TV to tablets and other interactive devices. Is there something that we, as parents and caregivers, can do to help children manage their screen time? You are a parent, so it’s up to you to set some rules when it comes to screen time. The earlier you start, the better off you will be. I love these very clear rules from The Mad House. We also have very clear rules of no screens within an hour of bedtime, and screen limits. Our daughter is not at all interested in TV, but her overall daily screen time at home is limited to 30 minutes for games, 30 minutes for learning, and unlimited time in case if she ever wants to use a computer to create things. Alas, she is not interested in this last generous offer and barely uses her learning time in summer. She just uses her game time, and this is OK with us as long as she sticks to her limits. Should You Monitor Online Usage? I had high hopes for YouTube for Kids app released by Google recently for both iPad and Android platforms. I was thinking that I can “whitelist” certain channels for my daughter based on her interests. Alas, the channels of YouTube for Kids are preselected by Google, and there is no way to change them. Perhaps this is something of the future. In the meantime, we mostly watch YouTube together – Smarty’s favorite channels are School House Rock and Periodic Videos. How Do We Pick New Apps or Websites? We rely heavily on “word of mouth”, especially from bloggers I respect. 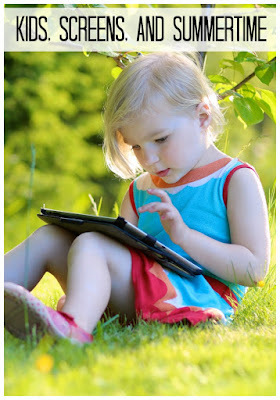 Beth at iGameMom publishes a lot of app reviews including this great guide of apps for kids by age and subject. Melissa at Imagination Soup also has great reviews, especially for older kids – we found some new games through her Best Geometry Apps for Kids. But I am pretty sure that every child will have different favorites – for example, my 8 year old never caught on to Minecraft even though practically every child in her class plays it and kids discuss it at school all the time. It’s probably best to think of the things that your kids like and find applications and YouTube channels that appeal to their unique interests. Many parents say that kids “disappear” into their online worlds, and this is certainly true while they play. This is why you might want to consider playing video games or games such as Minecraft together with your younger kids who would think that you are very cool, because you can shoot monsters right next with them. While I don’t play games with my daughter (my husband does sometimes), we talk about her favorite games, so at least I understand why she likes some games that I find mind-bogglingly dull. You might be tempted to let your children spend as much time as they want “out of trouble” and in front of screens, but remember that screen addition is real and can take its toll on children. No, your children, even if they are overall responsible for their age, cannot decide for themselves the limits on their screen usage. This brings me back to the point of remembering who is in charge and setting reasonable rules that will change as our kids grow. More Websites and Apps for Kids? Follow Natalie Planet Smarty Pants's board Online Learning and Apps on Pinterest. 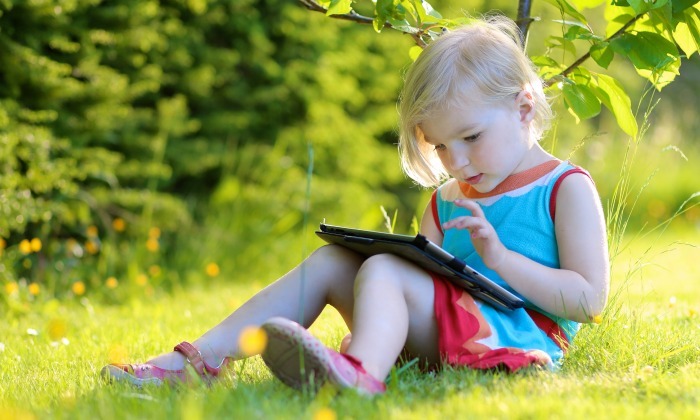 How much time do your kids spend with screens in summer? We are a mostly-screen-free family (apart from blog stuff I do) all year round. That might change as my kids get older, but for now I think they are much better off playing with each other. I imagine we would use screens more with an only child. Both Jeff and I enjoy computer games and video games, though with blogging I don't play them as much as I used to. But, for right now we have severely limited the kids' screen time. I'm with you in not letting them browse the internet on their own mainly because it's so easy to accidentally click on the wrong thing and then end up somewhere you didn't intend. I also followed the guidelines about no screen time prior to age 2 and have come to see the educational value for our preschoolers. Our pediatrician actually recommended that they get some educational screen time after that, citing studies that kids who had some did better academically than those who had none. Thanks for all the great advice in this post! We don't limit screen time at all - except for limited times, if we think it's getting out of control. The kids read books, watch videos, play games and learning apps, chat with friends, and research interests online. It can all add up to a number of hours. But, looking at your rule list, I see we have more rules than I thought - no screens at the table is a big one for us, and the younger children have to surrender their devices before bed - oh, and NO selfies in the bathrooms. My biggest issue is trying to stay up on what they're up to - trying to set boundaries and keep them safe online - it's nearly impossible. My youngest two bought $1500 worth of accessories for a "free game" that I thought was "safe" on their Kindle - right as we were pulling together the down for our house. Amazon was fantastic about refunding it all (a one time thing) and walking me through setting up stronger parental safety settings. But, it really brought home to me how quickly they can get into trouble - while I think I'm being careful and mindful of what they are up to.